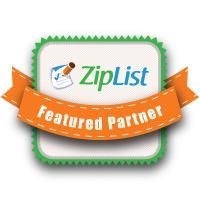 I am happy to tell you that I teamed up with Ziplist. Ziplist is the new tool for saving recipes, creating personalized online shopping lists, making meal plans and finding grocery deals. 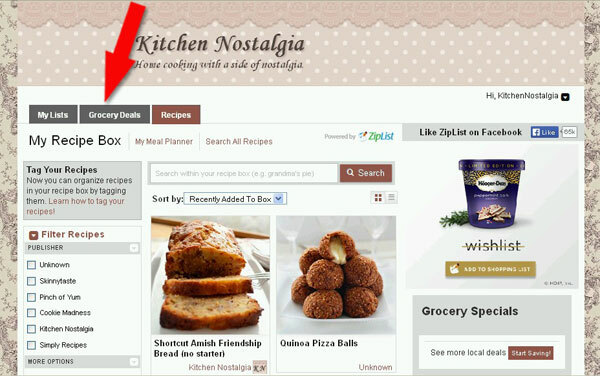 It enables you to not only save your favorite recipes from Kitchen Nostalgia to your personal favorites on ZipList, but you can also save favorites from many other recipe sites, like Martha Stewart, Serious Eats or Simply Recipes, and they all get saved in one place. 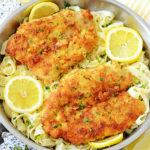 All you need to do is create an account (it takes just a few seconds and it is free) and then you can start collecting recipes from all of your favorite recipe sites and blogs. 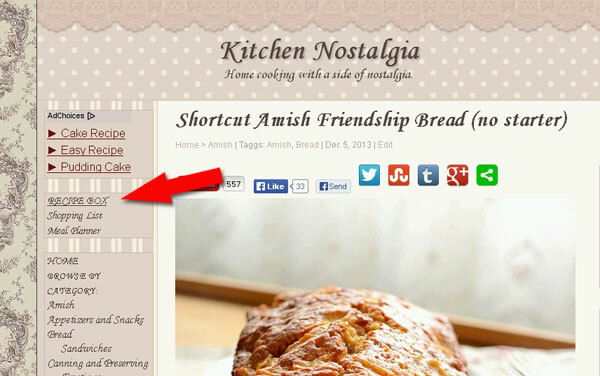 When you are reading a post, you will be able to SAVE or PRINT the recipe from the post. 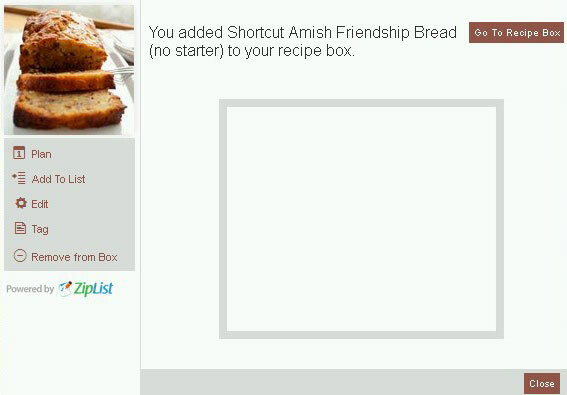 A window will open informing you that you added the recipe to your Recipe Box. 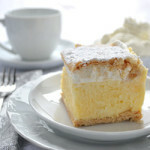 To check the recipes in your online recipe box or shopping list from Kitchen Nostalgia, just click the Recipe Box link in the left sidebar of the page of my website. 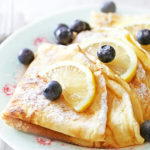 You can also access your recipe box and shopping list from any partner website, as well as from ZipList.com and using free mobile apps from ZipList, so you have what you need to plan meals and grocery shop wherever you go. 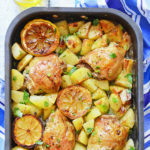 In addition to storing your favorite recipes to your recipe box, you can also easily add the ingredients from a recipe to an online shopping list, which you can access from your mobile phone. 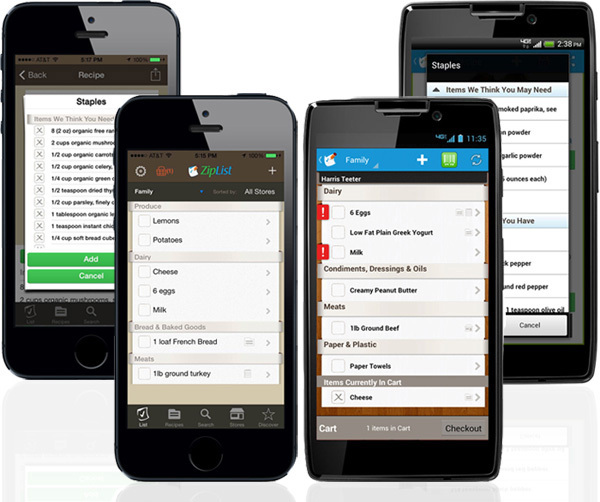 Ziplist’s mobile app enables you to take your shopping list, recipe box, grocery deals and checklists with you wherever you go. 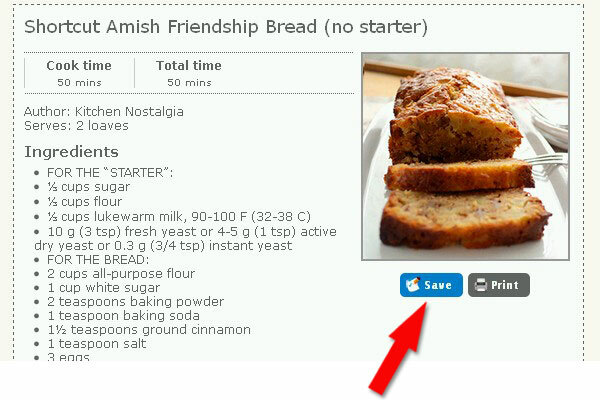 You can sync up your list with family members, and even scan barcodes to add items you need. Check off items you add to your cart with one touch as you shop. The service, both from the website and the mobile phone apps, is completely free. 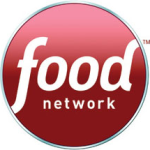 Checkout ZipList and the huge amount of amazing recipes you can discover on their site! I was so lucky to have stumbled upon Kitchen Nostalgia recently. 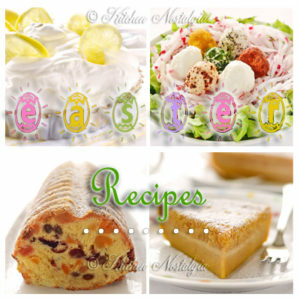 I just love your format and all of the recipes that are appropriate to my way of cooking. 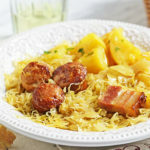 So many sites throw out recipes and food that are not at all compatible for my home cooking. I’ve had the Ziplist button for well over a year now and use it daily. 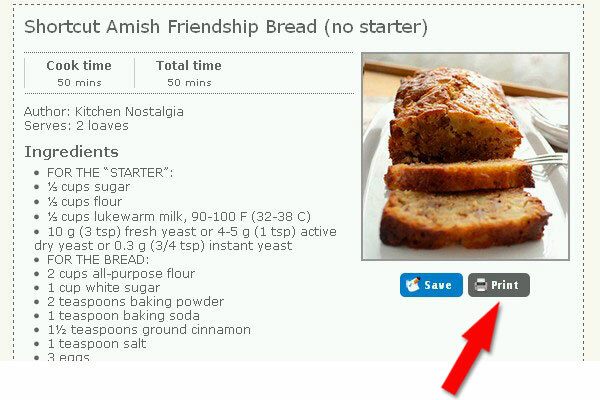 Thank you for adding the option to your recipes. Oh, Thank you, Bonnie! I’m glad to know that what I do is helping someone.